During a Fundraiser for Prostate Cancer on 'Super Saturday' 18th March 2017, I'm delighted to be offering this fantastic Custom Weight Belt to the cause, we've also made available for the raffle one of our wine bottle 'wraps'. Below is a little about the belt. When I first saw the Leather Hide I knew I had to do something special with it. It had this fantasic original Branding mark from when the beast was roaming the countryside and it just felt right to show the Brand off in the belt design. 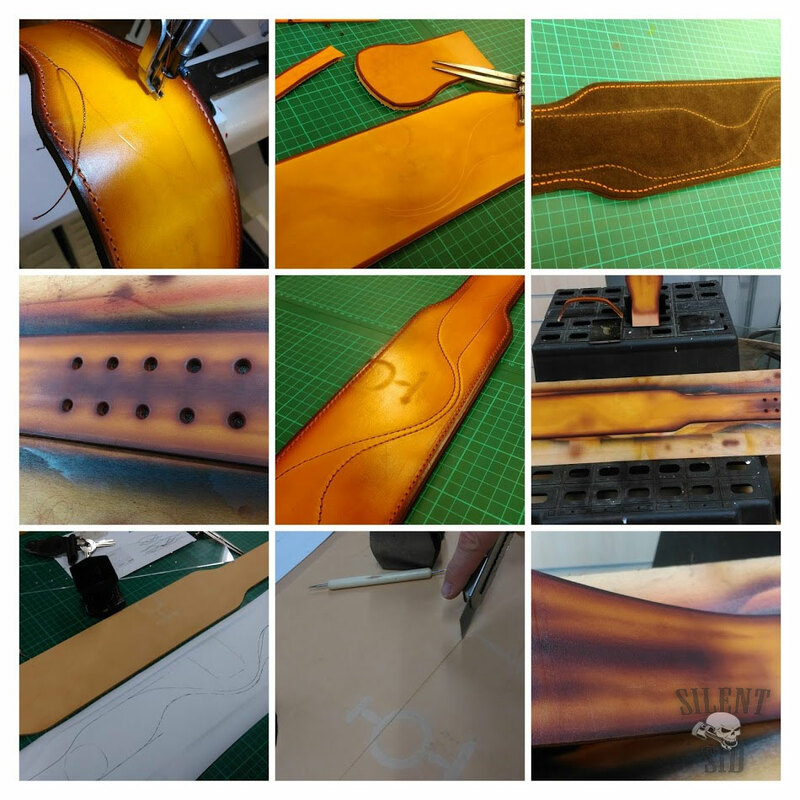 From cutting the leather right through to dying and chosing the stitch pattern - the cattle brand marking was at the heart of it. I chose a classic rugged western style colour scheme with airbrushed accents - then came the twin colour stitch pattern in Brown and 'Rust' colours. 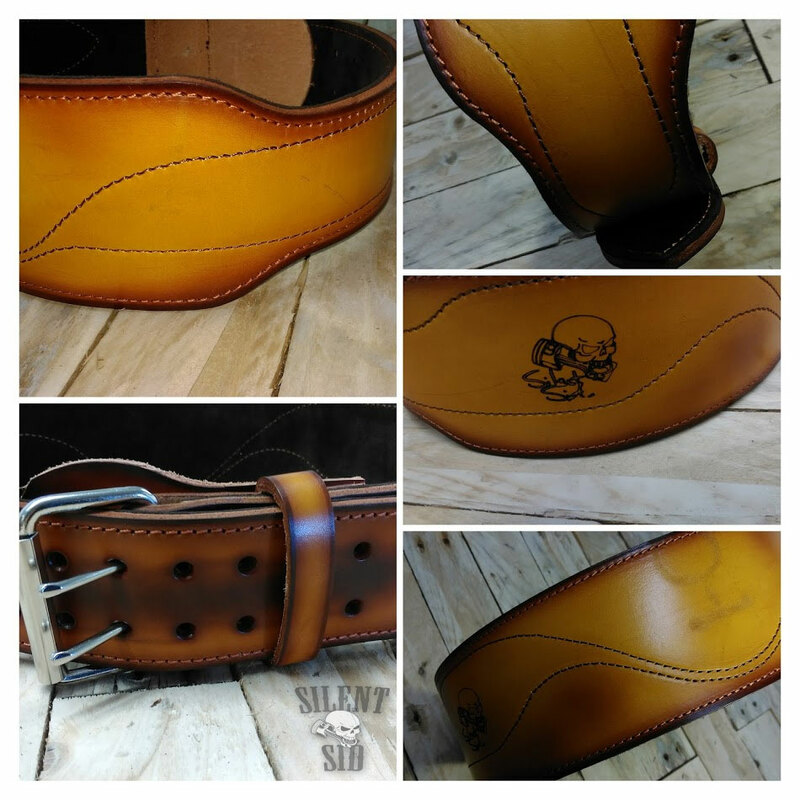 Of course, it was only right to 'Brand' the finished belt with our 'Silent Sid' logo. We've had this belt on display in the shop and it's brought universal approval - everyone has given positive comments on it's design. I'll leave this page live for some time after the event as I really liked the way it turned out.